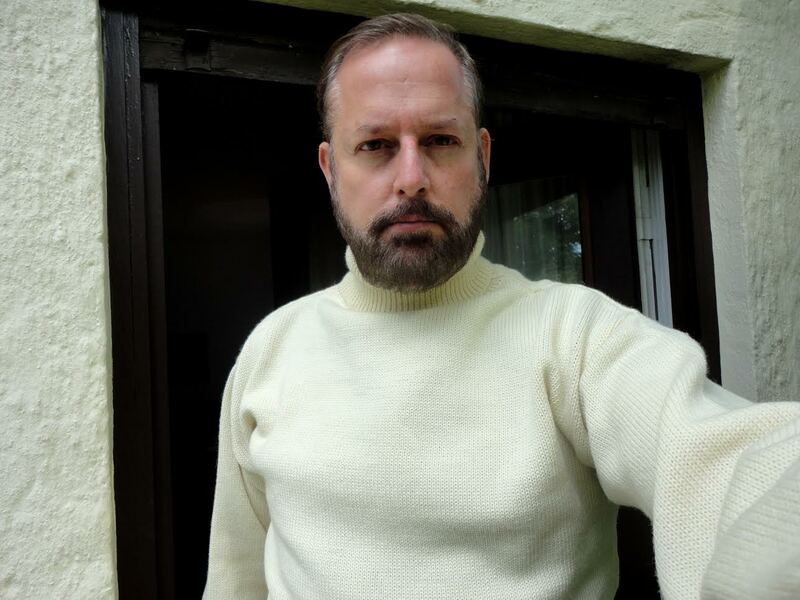 This review of my British Roll Neck Submariner Jumper that I purchased from the good people at Outdoor Knitwear in the UK just in time for the arrival of Autumn in October of last year. I had been considering getting one of these for a while and so full props here to Norton of Morton's timely and informative blog post for kicking me over the finish line. Having enjoyed it for the past three months, I can certainly say that it's become one of my very favorite 'Go-To' cold weather companion pieces. Yes it's beautifully cozy warm, and since it's made from pure British wool, is also great at regulating my body temperature so that I don't feel pull it off inside all the time. Outdoor Knitwear states on their website: 'The Submariner's sweater has been manufactured by us for many years for the British Royal Navy. 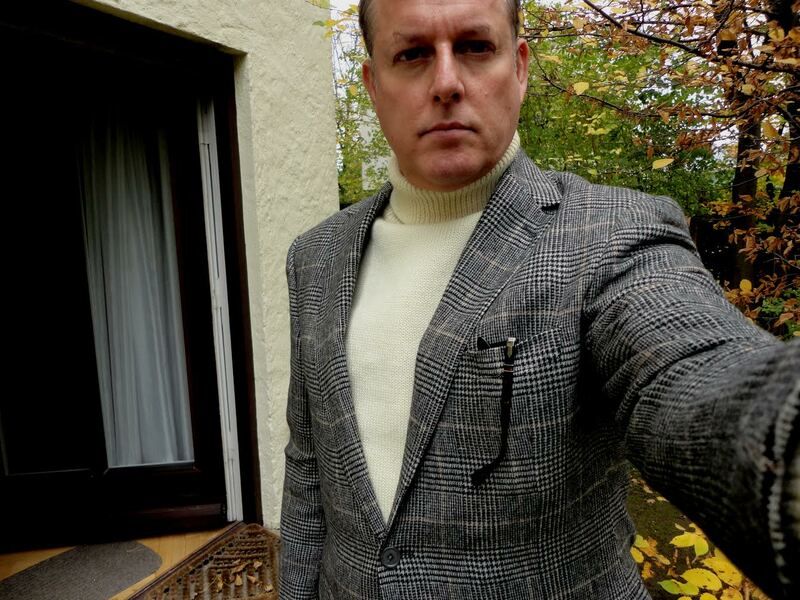 With its roll neck, deep welt (hem) and cuffs and an internal reinforcement patch to the neck/shoulder seam, it is made to an original 70 year old specification. The Submariners sweater is made using a 3-fold 100% pure new British wool, especially treated to prevent shrinkage.' I can certainly say that my Jumper has held up nicely over these past months of regular wear. With not even a hint of a pill in sight. However, the one of the best things about this design is that it looks great with just about any outfit and can be dressed up or down so easily: It looks just a great with Selvage denim and work boots as it does with a Camelhair Glen check sports jacket and loafers. Perhaps it's the Naval heritage, but it always gives off an air of masculine cool with any combo I choose to pair it with. Here are just a few of the combinations I have found look great with this most versatile of sweaters.